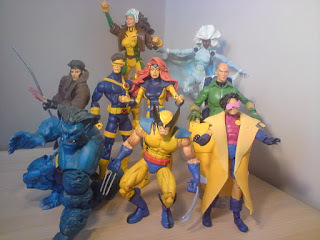 I do not know about you, but I have always been a huge fan of X-men. X-men was one of the reasons I woke up early on Saturday mornings while I was growing up. The plethora of colorful characters (including an adequate number of female characters) and exciting plots and adventures always had me mesmerized. In addition, who doesn’t wish they had developed a unique superpower when they turned 13?! To anyone who has ever seen or read X-men, it is obvious that one of the biggest struggles for the X-men is to be accepted as humans. Knowing this, imagine my shock when my co-worker told me that the X-men had been classified as “mutants” and not “humans” by the US Government! A podcast group called Radiolab produced a podcast discussing the discovery of an early 90’s court case in which Marvel (the creators of X-men, if you were unaware) sent two lawyers to convince the courts that the X-men were mutants and not humans. Why would they do that!?! Tariffs are special taxes put on goods that come into or go out of the US. In the case of the X-men, high tariffs were being placed on action figures coming in from oversees factories. Marvel lawyers learned that if the action figures were considered “toys” (anything that was not a human being) instead of “dolls” (anything representing a human being) the tariffs would be half the cost. How ironic that the creators of the X-men would be the first to reject their right to be human. You can check out the whole story and results at Radiolab’s web site: http://www.radiolab.org/blogs/radiolab-blog/2011/dec/22/mutant-rights/. Now I am wondering what I should tell my future kids when they start watching their first X-men episodes. “Yeah, they might have been accepted as humans in their world, but the real world rejected them.” No, I do not think I could do that to them. I will wait until they are grown up. An instructional designer and writer by profession and a blogger for fun. I enjoy showing my inner geek and trying new things. My eclectic interests include books, dogs, wine, geocaching, hiking, and more. If I can combine them, I do! For me, life has only three rules: do no harm to others, find balance in everything, and make the most of each moment. Have fun reading my blog, and feel free to post comments. 8 Chains North, 50 West, 868 Winery, Arterra Winery, Afton Mountain, Aspen Dale Winery at the Barn, Barboursville Vineyards, The Barns at Hamilton Station, Barrel Oak, Berry Hill Vineyards, Bluemont Vineyards, Breaux, Cardamon Family Vineyards, Chester Gap Cellars, Chrysalis, Cobbler Mountain Cellars, Cocoran Winery, Desert Rose Winery, Doukenie Winery, DuCard Vineyards, Early Mountain Vineyards, Fabbioli Cellars, Fox Meadow Winery, Gadino Cellars, General's Ridge Vineyards, Glen Manor Vineyards, Granite Heights Winery, Greenhill Winery, Grey Ghost Vineyards, Hidden Brook Winery, Hillsborough Vineyards, Horton Vineyards, Ingleside Plantation Vineyards, Keswick Vineyards, King Family Vineyards, Lindon Vineyards, Little Washington Winery, Lost Creek Winery, Loudoun Valley Vineyards, Maggie Malick Wine Cave, Naked Mountain Vineyards, Narmada Winery, North Gate, Notaviva, Otium Winery, Pearmund, Quatro Goomba Winery, Rappahannock Cellars, Sharp Rocks Vineyard, Slater Run Vineyards, Stone Tower Winery, Sunset Hills, Tarara Winery, Three Foxes Vineyards, Twin Oaks Winery, Two Twisted Posts Vineyards, Veramar, Veritas, White Hall Vineyards, Winery at Bull Run, and Winery at La Grange. "Well-behaved Women Seldom Make History"